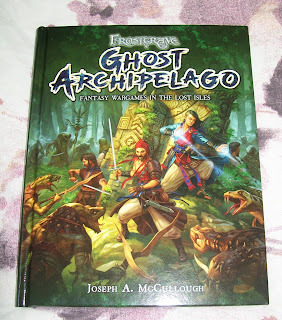 Although I often forget it myself, I was a writer long before Frostgrave. In fact, my first love was writing fiction, mostly dark fantasy and sword and sorcery short stories. Not too long ago, I collected the best of my fiction writing into an ebook called Victory's Knife. 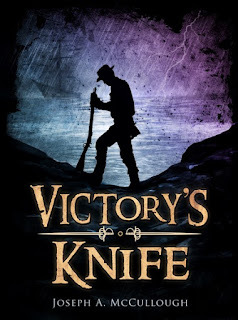 So, if you like action oriented fantasy, with a touch of the weird and horrific, check it out. You can get it on Kindle. Or as a PDF on DriveThruFiction. Okay, I admit it. I checked this book out from the library almost completely because of the title. Seriously, it's one of the best titles I think I've ever seen. I'm glad I did though, as I learned a huge amount. 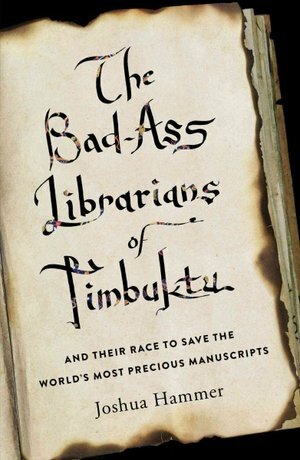 In a nutshell, at several points in its history, Timbuktu has served as the world centre of Islamic learning and culture, and in the late medieval and early modern areas, hundreds of thousands of hand-written manuscripts were produced in and around the city, covering all sorts of topics. Many of these manuscripts still exist. This book tells the story of how one man helped collect these manuscripts for preservation and then had to try and save them again, when Timbuktu was taken over my Islamic extremists. The book is part biography, part history, part adventure, and even part military history, and most of it is really fascinating. It's not perfect though. It's a short book and in places it feels a bit padded - with biographies of characters that seem pretty tangential to the story. Also, the story bounces around a bit, with the author himself seeming to intrude on his own story sometimes. Finally - something that really annoyed me. The book opens with a little narrative introduction, where some of the manuscripts are being smuggled through a terrorist checkpoint. It's a great, tense scene, but it also struck me as deliberately misleading. Not the event, that seems to have happened as described, but the author seems to purposely avoid naming the person involved. We are left with the thought that it is the main character of the book, and it is not. Still, all of these things are minor gripes about a really good book. In my opinion, Sir Gawain and the Green Knight is one of the greatest works of the English language, and the pinnacle of medieval Arthurian writing. I have read the story numerous times, in several translations. Unsure if I had read this specific translation, I picked it up at a used book store. I always get something new when reading this poem. This time, in one of the footnotes, I learned that one of the challenges of translating this poem into modern English is that our modern language only really has one word left to describe the weapon wielded by the Green Knight. Today, we'd call it an ax. Apparently, back then, they had lots of different words to better distinguish between many similar weapons. Only by bring this distinction back do we learn that the Greek Knight is wielding a different weapon at the beginning of the poem than he is at the end. Apparently at the beginning he's wielding a weapon closer to a guisarme and at the end, it's more like a Danish ax. Is that important? I don't know, but it fascinated me! This short work is like a literary punch in the stomach. The central theme is 'stop messing around and do the work you were born to do', and Mr. Pressfield approaches it kind of like a marine drill instructor. His main audience is artists - specifically writers and painters, but really, his point applies to everyone. If you are an artist, or some one who is struggling because they sense (or know) that they are not doing what they really believe they should be, then I strongly suggest you check it out. It's not a book that is likely to make you feel better about yourself, but it just might teach you an important lesson. It was a good day for Frostgrave: Ghost Archipelago yesterday, as it was short-listed for the UK Games Expo Awards in the Best Miniature Rules category! Two years ago, Frostgrave won this same award. That said, as good a day as it was for me, it was an even better one for Osprey Games, as they published all three titles that were short-listed in the category! Also vying for the award are Gaslands by Mike Hutchinson and Kobolds and Cobblestones by Rob Burman. I am lucky enough to have met both of these guys on several occasions, and I can honestly say that they are both really dedicated wargamers and fun to hangout with. I think both of their games have brought something new and fresh to wargaming. Gaslands, especially, seems to have caught the popular imagination as it has given wargamers everywhere an excuse to buy and convert hot wheels and matchbox cars! The winners will be announced at UK Games Expo in Birmingham in early June. Unfortunately, I won't be in attendance this year due to family commitments, but I have often thought it one of the most genuinely fun conventions in the UK. Well, good luck to all of the nominees, but if you are going to Games Expo, vote Ghost Archipelago! Spellcaster 3 – Now Available! Issue 3 of Spellcaster: The Frostgrave Magazine is now available. You can get the PDF at RPGNow. You can get it for the Kindle. A print-on-demand version will be available through RPGNow in 2 or 3 weeks. (Hopefully, this isn’t completely under my control). * Expanded rules for rangifer, including rangifer shamans with their own spell list, new rangifer soldier types, and a two-scenario solo campaign. * Rules for making deals with thieves’ guilds in Frostgrave. * New Frostgrave fiction from Matthew Ward. * Eight Ulterior Motive cards for use in Ghost Archipelago. * A Frostgrave auction featuring new magic items. 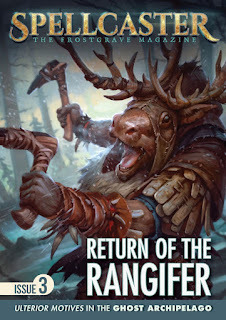 Just to make it more fun, the guys at North Star and Osprey Games have released a special ‘Rangifer Warband’ pack of figures, including a brand new rangifer shaman, for use with the new Rangifer rules. You can pick that up through North Star. Anyway, please let me know what you liked or didn’t like about the new issue so that I can continue to improve in the future! With Frostgrave: The Maze of Malcor just around the corner, I thought I would share a little piece of the new book that I think will be of great interest to many players. As I have mentioned elsewhere, the book includes some rules updates, including a new Experience Table. The experience table has probably been the most controversial piece of the game since its release, and I have probably spent more time thinking about it than any other aspect. I could tell by the reaction of many players that it needed work - not specifically because it was unbalanced, though you could make that argument, but because it was interfering with too many player's enjoyment of the game. So, I studied the games that I played, or saw played. I canvased opinion here on the blog. And, finally, I created a new experience table. Here it is. So what is different about it? Well, the biggest difference is that I have removed all of the experience points for wizards killing other wizards, apprentices, and soldiers. Not only was this rule generally unpopular, but it was leading to occasions where a wizard could have a huge game and gain 5 or 6 levels. While this is unlikely under the new table, I have also added a rule that caps experience gain at 300 xp per game. Otherwise, I went with one overriding principal - keep it simple. I went through lots of different methods for experience gained for casting spells, but most of them added complexity without really adding any enjoyment. So, there are only two minor changes to that. Players now receive 5xp when they cast a spell that damages the spellcaster (learning through mistakes) and they no longer receive any xp when casting a spell with a Casting Number of 6 or less (you've learned most of what their is to learn by then). 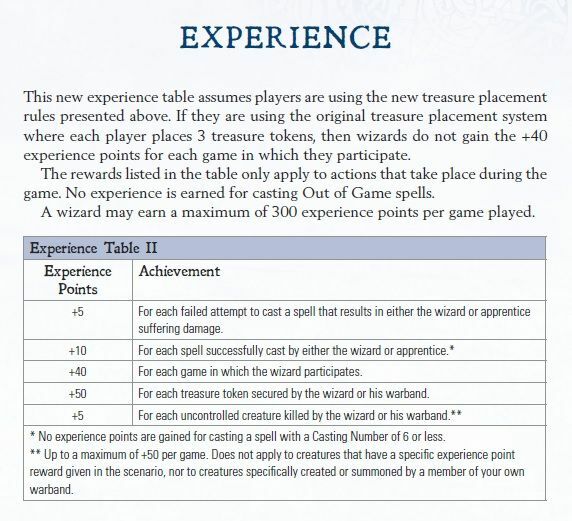 Finally, wizards now get 40xp just for showing up, which is partly to maintain balance as wizards progress, and partly to make up for the fact that under this new system there are only 5 treasure tokens on the table. Anyway, I hope players like it, but, if not, feel free to keep using the old system, or whatever home-brewed system makes you happy. Despite growing up in North Carolina, I don’t listen to a lot of what most American’s would call ‘Country Music’ (1). However, I recently came across this song, which hit #1 in the Country charts, and I’ve got to admit, I absolutely love it. In fact, my love for the song extends beyond Darius Rucker’s wonderful voice, and it being a great, rolling-along, driving tune, containing the wonderful line ‘If I die in Raleigh, at least I will die free!’. No, there are two other reasons I love this song. The first is that the origins of the song lead straight back to my all-time favourite artist, Bob Dylan. Dylan wrote the tune and the refrain around the same time he wrote ‘Knockin’ on Heaven’s Door’. He went so far as to record a version before consigning it to the trash can. Eventually, the bootleggers go a hold of that recording and released it. Years later, it reached the ears of Ketch Secor, lead-singer for Old Crow Medicine Show. He loved the tune, but couldn’t make out any of the words in Dylan’s mumbled lyrics, so he wrote new ones. The new song, Wagon Wheel became the group’s signature song, with Ketch and Dylan listed as co-writers. The other reason is more personal and relates to Darius Rucker. As many will know, Rucker was once the lead singer of a band called Hootie and the Blowfish. This band had a brief period of stardom while I was in college. While I wouldn’t call myself a ‘fan’, I enjoyed several of their songs, and had friends who really loved them. Fast forward several years. I was living in Rockville, Maryland, just outside of Washington, D.C. I had recently returned from a year living in Wales, where I had left my heart with a young lady. I was working two jobs to keep myself busy, but it was a pretty miserable time, all told. One night, I was coming home late after a long shift at the gaming store. After getting off the Metro, I started across the parking lot that led to my apartment. However, instead of cars, the parking lot was full of people. There was stage. There was music. There were no gates or tickets, so I wandered up. There, on the stage, was Hootie and the Blowfish, hired by the city of Rockville for some-another festival. I only got to hear them sing two songs before they left the stage, although that included their most famous, ‘Only Wanna Be With You’. In that moment, I felt very lucky. Not just to hear those two songs, but in life in general. It doesn’t really make any sense, but there it was. Looking back, that concert probably represented a real low-point for Hootie and the Blowfish, and I’m not sure how much longer they lasted as a band. It was a great moment for me though, and so I’m just taking this opportunity to say thanks to Darius and the rest of the band. (1) I do listen to a lot of what the British would term 'Country Music' which tends to include American Folk, Bluegrass, and Americana. More good news for Frostgrave fans. I have nearly put the finishing touches on Issue 3 of Spellcaster: The Frostgrave Magazine! In fact, I am hopeful that the PDF version will be out next week with the print-on-demand not too far behind. As with the previous two issues, the POD version will come with a free PDF, so if you want both, it might be worth waiting. A kindle version will also appear around then as well, although, I must admit, buyers are getting a much nicer looking product going with the PDF or POD. So, what’s in the new issue? Well, as you can probably guess from the cover, the big story is rangifer! 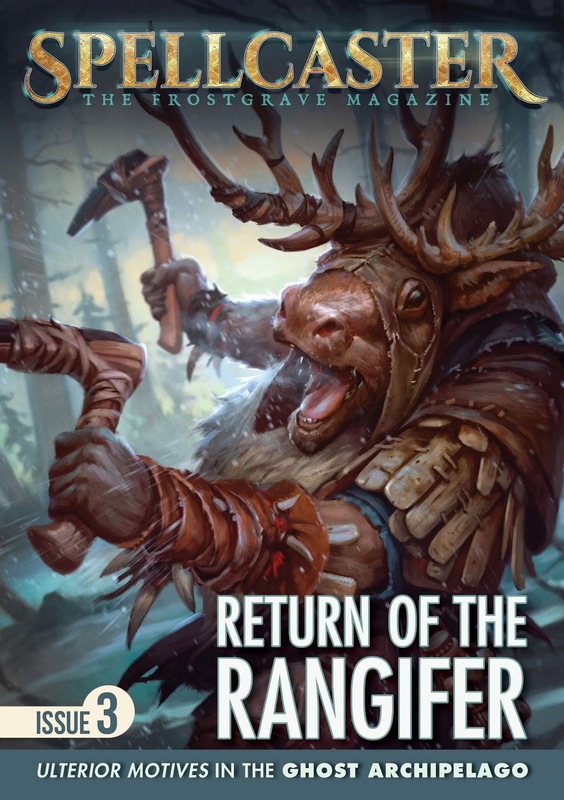 This issue contains rules for making a rangifer shaman and his bodyguard, including a unique spell list, new troop types, and a rangifer treasure table. There is also a two-scenario solo campaign to get your shaman started on his adventures! Fresh from writing his second Frostgave novel, Oathgold, Matthew Ward shows up in this issue with his new Frostgrave short story: Unfinished Business! There’s a little treat for Ghost Archipelago fans in the form of 8 Ulterior Motives cards designed for use in the Lost Isles. Phil Smith returns to Frostgrave with rules for making deals with the thieve's guilds. Congratulations, you will all receive a free PDF of Issue 3. So, hopefully, coming next week. Keep your eyes peeled!